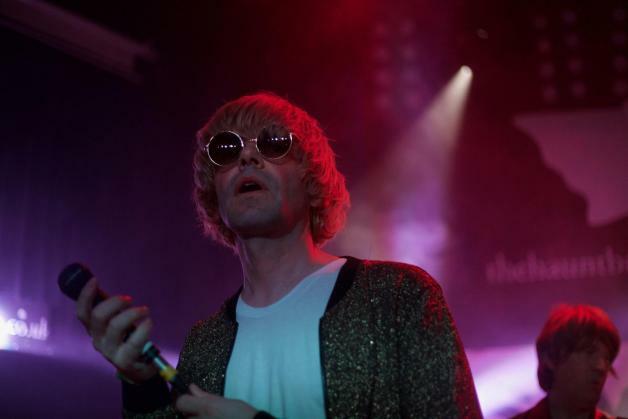 Charlatans frontman Tim Burgess has united with Bands F.C. to design a football programme. Bands F.C. match club crests against the history of your favourite bands, with their designs becoming cult items. Tim Burgess is clearly a fan, and united with Bands F.C. to design the programme for this weekend's game between Salford City and Aldershot Town. With a nod and a wink to The Charlatans it's pretty cool in its own right, with all funds going to charity - as an added bonus Tim Burgess will be in charge of the pre-match tunes at the game. Salford City are of course partly owned by Gary Neville, a long-time fan of the Charlies, and he helped bring the frontman on board. Check out the design below.